Whether you’re planning to build a new home or you want to majorly overhaul your current house, making decisions about the materials to use during the construction process can be a challenge! 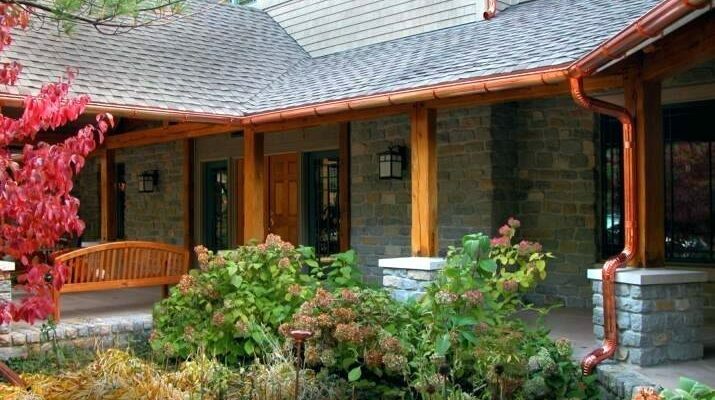 There are a plethora of materials to choose from, including conventional brick, stone, and wood, but what if you’re interested in something a little bit different? Enter copper. Copper is a beautiful material that can be used for a variety of purposes, from cooking pots and utensils to building construction. If you aren’t very familiar with copper as a construction material, don’t fret. That’s why this guide was written! As you continue reading, you will see some common questions and answers regarding the use of copper in residential structures. Copper is actually one of the most eco-friendly building materials in existence. As a matter of fact, about 75% of the copper used for construction projects is recycled. Before your project commences, talk to your contractor about using only recycled copper sheets for the job. This will both save money for you and be beneficial to the environment that we all share. Can copper be used for unique designs? Copper’s combination of strength and softness makes it ideal for residential designs that are a bit off the beaten path. If, for example, you’re interested in having a curved wall in your house, copper is the perfect material to use to build it. Or, if you would like your walls to wrap around trees or other natural features, copper can be shaped to accomplish your goal. It is, however, important to talk to your contractor about any unconventional design plans you have before he or she gets started. Copper itself is extremely resistant to corrosion, which means it will last for many years. It can, however, corrode other materials that it comes in contact with, including wood, zinc, steel, aluminum, and cast iron. If any of these building materials are also going to be used on the outside of your house, make sure your contractor uses specialized mechanical fasteners to separate them from copper walls. A good contractor should already know this, but it’s still a good idea to bring it up in conversation. When does copper begin to get a patina? One of the things copper is most well-known for is the bluish-green patina it develops over time. Most homeowners who choose this material like the worn, vintage look of the patina and want to know exactly how long they can expect it to take to form. In most cases, copper’s patina starts to appear after about a decade. Certain environmental factors, such as the salt air in coastal North Carolina and South Carolina towns, may hasten the process somewhat. Due to its durability, versatility, and popularity, copper is not one of the cheapest building materials on the market. Its price, however, is generally worth it as it is quite low-maintenance, rarely has to be replaced, and has a look nothing else can quite mimic. If you are worried that paying for copper will blow your renovation budget, you can save some money by choosing salvaged or recycled copper sheets instead of brand new ones. If you are interested in using copper in your upcoming remodeling or new construction project, the Hatch Homes team would love to work with you. We enjoy creating unique spaces for our clients to call home and, as our patrons throughout North Carolina and South Carolina will tell you, our professionalism and skill are second to none. We are excited to talk to you about your house and to get started on your job as soon as possible.